As expected, Apple has unveiled its new generation iPhone 7 and 7 Plus. The new device has dumped widely-used humble headphone jack in favor of lightening-connected and wireless audio. Insteadly, a first-ever pair of Bluetooth headphones – AirPods was released, which arouses heated discussions. 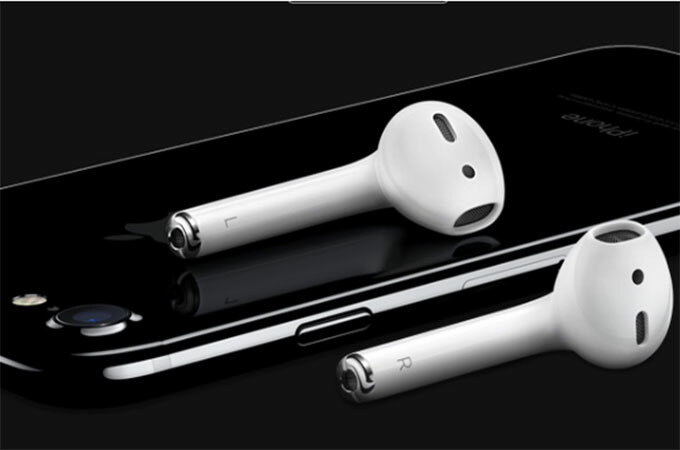 Hence, it is necessary for you to know some detailed information about how to use iPhone 7 AirPods. Why did Apple change its EarPods? On the one hand, the 3.5mm connector requires an internal-to-analogue converter (DAC) that not only can limit sound quality but also takes up precious space inside the iPhone. On the other hand, it is unrealistic for smartphone manufactures to put the high-quality DAC at a top priority with margins to take account into. Thus, it deserves to win our praises that Apple makes such a bold yet unrelenting decision to push the industry toward wireless industry. Obviously, what Apple has done shows great ambitions to exert an implicit control on its users and it will for sure bring great changes to user experience. 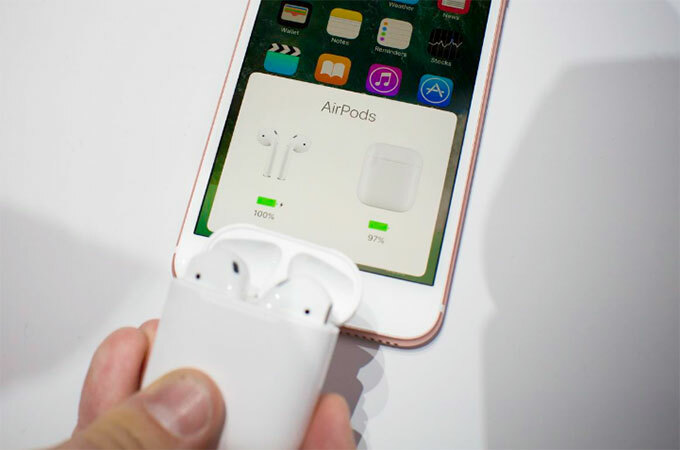 Simply take AirPods out of the box and place them near your iPhone, then they immediately detect all the devices that have all been signed into your iCloud account and get ready to connect automatically with all your Apple devices including iPhone 7 via Bluetooth. 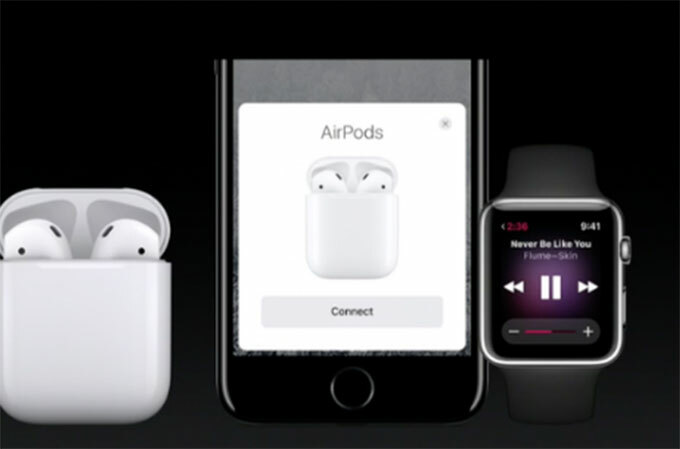 Furthermore, AirPods also support simultaneous connection and instant sound switches between your iPhone and Apple Watch. Besides, you can choose AirPods on your Mac or iPad to let you freely enjoy music with ease as well. 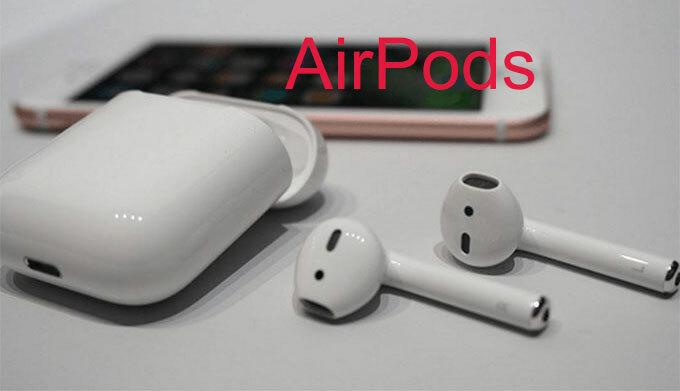 If you want to listen to music to relieve you of extra anxiety from a day’s hard work, the powerful infrared optical sensors and motion accelerometers will work together with W1 chip to automatically detect when the AirPods are in your ears and play and pause. Simply put AirPods in your ears and then you can select any music to play with pleasure. Besides, you can set AirPods to automatically play the sound once they’re in your ears. As for making phone calls, a voice accelerometer detects vibrations and recognizes when you are speaking with a beam-forming focused on your voice and filtering out external noise. What’s more, if you want to activate your favorite personal assistant – Siri, just double-tap either AirPod without the necessity to take your iPhone 7 out of your pocket. AirPods deliver an industry – leading 5 hours battery life on one charge, which is quite impressive for wireless headphones. Besides, AirPods match a magic charging box at the bottom of which there lies a lightning port for charging. If AirPods begin to run low, you can turn to the included charging case that will last for at least a whole day. With only 5 minutes in the charging case, you can use AirPods to listen music for 3 hours of runtime. If you want to check the battery, just hold the AirPods close to your iPhone and then ask Siri to know the battery life of your AirPods. For those who have already been accustomed to old 3.5mm headphones, Apple also supplies a pair of lightening connected wired EarPods and an adaptor to let music fans enjoy their preferred music in traditional way. Owning to the fact that there aren’t any real physical buttons on AirPods, all you have to do is to take your iPhone out or use Siri to perform specific orders like controlling the music volume or switching tracks, which may seem like a step back if you’re already accustomed to turning up or down the music volume right from your EarPods. For those who have already been used to 3.5mm wired headphones, it may seem easier for people to forget to charge the AirPods and the charging case as well. For most people, it is ideal to exercise outsides with the companions of Apple Watch and AirPods, but it seems more likely to lose or misplace them easier than before. Luckily, relative gadgets can help guarantee the safety and reduce the risks of losing them. For some people that really want to download some newly-released pop music to their new iPhone 7 with AirPods from YouTube, Vevo or other popular music sharing sites, you can use a powerful download app – Video Download Capture that grants you the ability to download your preferred music in batch model with ease. What’s more, you can directly download YouTube playlists with only the audio file as well. Besides, this app also enables you to convert the downloaded video to audio format (MP3, AAC) and other portable devices for offline playback. In addition, you can also save the downloaded clip to your PC by adding them to iTunes where you can freely sync files to your iPhone. Then you can use iPhone 7 AirPods to enjoy sound music with great pleasure.